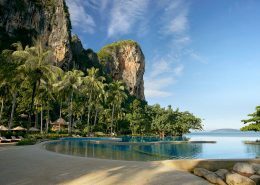 Set on the edge of the Krabi Marine National Park between the enormously popular Railay Beach and the quieter (but just as beautiful) Phranang Beach is the stunning luxury resort, Rayavadee. 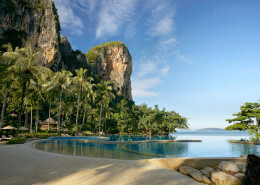 It is no secret that as regions go, few are more visually blessed than Krabi. Dense, tropical jungle skirts the periphery of dramatic limestone cliff formations that rise majestic from a turquoise ocean abundant with marine life. It is here you will find Rayavadee – an exquisite resort so committed to environmental sustainability, it built its award winning 2 storey circular Pavilions and Pool Villas in between existing trees to guarantee they blended seamlessly within the natural surrounds. 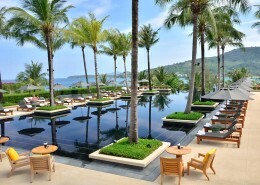 Spacious and elegant this is the most luxurious resort in the province. 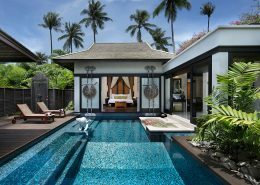 Each accommodation type features tropical décor with polished wood and richly coloured fabrics creating an overtly Thai sense of style. All rooms have an outdoor terrace and for those seeking an elevated experience opt for a spa or pool suite where days and nights can be spent fauna and star gazing in secluded privacy. This is a unique property on so many levels and it should be on everyone’s holiday bucket list. Hotel setting is amazing . Free pick up from krabi airport and get taken by boat to your hotel, which is separated from the mainland by some amazing cliff scenery. Hotel is set in a mini rainforest surrounded by beaches. Scenery is absolutely stunning as are the rooms. Even the entry level rooms are detached two story mini houses. Is a very large hotel and so can get a but lost but found our bearings by second day. Also they could improve on their wifi. However these are very minor points. Despite the secluded setting you do not feel isolated and tonnes of activities and restaurants to keep you entertained. Complimentary use of non-motorized water sports. Complimentary “Just for Kids” program offers interactive experiences for ages 4-12 years. 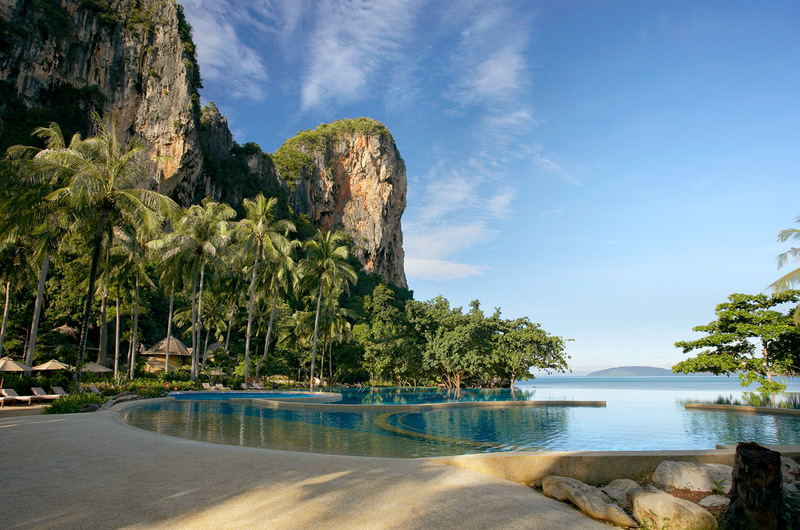 Rayavadee’s Activities Centre offers a full range of excursions to Krabi’s most interesting sites as well as half and full-day trips aboard its luxury speedboats to the area’s outlying islands. 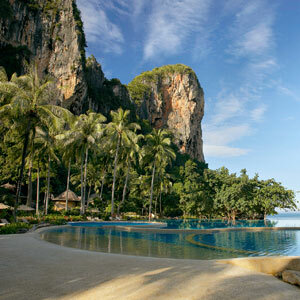 Nearby attractions include Phi Phi Island which can be reached in 35 minutes by speedboat from Rayavadee. The surrounding reefs are home to a variety of tropical fish and marine life. Closer still, Poda, Chicken, Tub & Hong Islands, with their lovely beaches and strange rock formations, are perfect for half day excursions. A stroll through Krabi Town’s morning market offers a glimpse of traditional local life while elephant riding, scenic natural parks and waterfalls are also situated nearby. The cliff walls and green waterways of Ta Lane’s mangrove forests offer exciting opportunities to explore by kayak. In addition, sea canoes, snorkelling and wind surfing equipment is available at the Water Sports Centre. The Fitness Centre is located next to the resort’s tennis and squash courts. 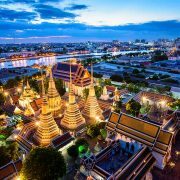 Cultural offerings include Thai cooking classes, batik printing, flower garland making and learning the art of traditional Thai fruit carving. *Terms & conditions apply: Valid for travel 01 May-31 Oct 19 (block-out dates & high season surcharges apply). Prices shown are a guide only, based on low season availability & subject to change. Price per adult, twin share valid for new bookings only. Other conditions may apply.